"I booked my wedding in July 2017 for the 20th October 2018 at The Fishermans Retreat The venue was perfect for an autumn wedding. My younger bridesmaid has had serious health problems and at one point we didn’t know if she would be well enough to be a bridesmaid but she made my day by being there and it was absolutely perfect. 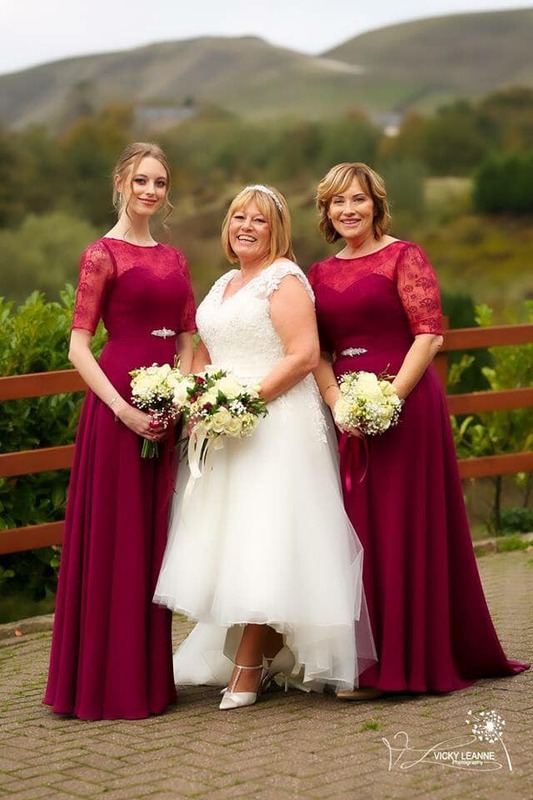 Here are Yvonne and her bridesmaids wearing style EN407 with embellishment added to to waist band"